Anaal Nathrakh are set to release a new album in Europe on the 23rd of May (May 17 for USA) through Candlelight Records titled “Passion”. 08.Who Thinks of the Executioner? Download includes the album's complete artwork, booklet, lyrics and liner notes. 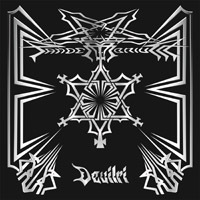 With great satisfaction, we would like to inform you that on the occasion of the 20th anniversary of Pandemonium’s existence, the most cult material of this group titled “Devilri” has been reedited in the commendable vinyl version. We would also like to remind you that the material is released in the limited number of 500 copies. One half of the entire edition was pressed on black vinyl, and the other white. The 12’ record packaged in an untypical black-and-white envelope, solid, hand-numbered jacket and equipped with a special full-format twelve-pages booklet with lots of archival and unique materials concerning Pandemonium from the early `90's. As a bonus, an exclusive digipack of "Promo 2010" has been enclosed to all copies. 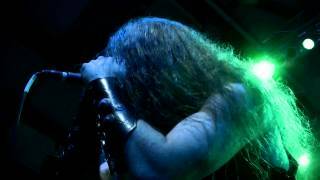 It contains the unofficial versions of two new compositions by Pandemonium ("Black Forest" and "God Delusion") from the upcoming album "Misanthropy". Additionally, you can find on it a video with excerpts from the gigs of two of the last year's festivals and concert video for "Frost." Hemoptysis have announced that their debut album “Misanthropic Slaughter” is now available for streaming in it’s entirety via the bands new bandcamp page(hemoptysis.bandcamp.com). The Album, as well as singles, are also available for download on the Hemoptysis bandcamp page as well. Physical copies of Misanthropic Slaughter available worldwide at this location (www.misanthropicslaughter.com) Prices include shipping and handling. Misanthropic Slaughter was produced by Grammy Award winner, Ryan Greene (Megadeth, NOFX, Alice Cooper), has received over 20 positive reviews worldwide, and all before it’s release. Misanthropic Slaughter will be available in stores throughout Europe via Rock It Up / IceWarroir Records in late April, 2011. Punishment 18 Records announced the deal with death metallers MOONRISE; this 5 pieces from Padova, after a decade into the Italian underground scene, is ready to show its potential with its first full length, entitled "Under The Flight Of Crows". More news concerning the debut album will be soon announced. The Cleansing unveiled the cover artwork for our forthcoming album "Feeding the Inevitable". Artwork was done by Remy C. from Headsplit Design. Noctem signs with Rising Records for the release of their new album.Mark Daghorn, owner from the label worked as producer for bands like Cradle of filth or Porcupine tree and has in his rooster bands like Trigger the bloodshed, Sarah Jezdebel and Bleed from within, etc. LADLO Productions announced the signing with The Belgian Band "CULT OF ERINYES" for his first real album "A Place to Call My Unknown" to appear on April 23. Drawning its energy from the darkest thoughts of its creators, this new extreme and punitive outfit intends to evolve in the realms of Black Metal while pushing its limits a bit further. Spawned with the intention to distil artistic audacity into respected traditions, Cult of Erinyes belongs to the forbidden experience, where music is only a symptom of a higher truth. Ritualistic hymns, vicious and twisted vocals, furious and ambient rhythms or Doom digressions are only a few weapons which will make of Cult of Erinyes, after only one year of existence, a band to be reckoned with. For fans of Hate Forest, Blood Of Kingu, Necros Christos, Craft, Glorior Belli, Watain, Shining and Behexen. LADLO Productions announced the reissue of the cult classic 3rd album of the NUMEN Spaniards, released in 2007 and which marked their 10th anniversary (toappear on April 23). Originally formed in 1997, Numen is an extreme music band coming from the Basque Country. They plays a fast black metal with some influences of the folk and traditional music of their land. 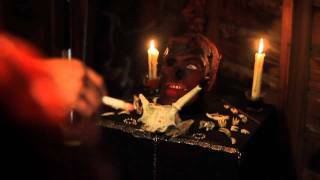 All lyrics are written in Euskera, their mother tongue, and they talk about old traditions, legends and mythology, always with a strong feeling against Christianity. Melodic and percussive, NUMEN is the Basques answer to the old Norwegians Satyricon. Note that this new edition includes the English translation and a brand new design. Swedish extreme metal band SHINING's seventh album, "VII / Född Förlorare" (English translation: "Born Loser"), will be released later in the year via Indie Recordings. American technical death metal innovators ORIGIN have announced the addition of vocalist Jason Keyser (SKINLESS, MUCOPUS) to the group's ranks. "Surgical Murder" split between 3 bands -Aktarma Suicide (Philippines), Morbid Devourment (Indonesia), Brutalcore (Turkey) - is out now via Extreminal Productions & Arizali Notalar Records. 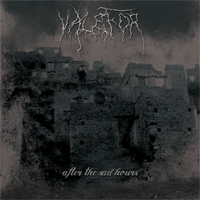 Turkish one-man depressive black metal band Valefor’s new demo ''After The Sad Hours'' is released via Extreminal Productions / Arizali Notalar Records / Total-Death Productions. All songs recorded in Dream Studio/Izmir. 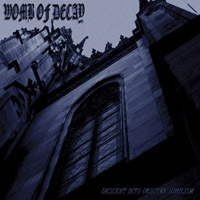 Turkish one-man funeral doom metal band Womb Of Decay’s debut album ''Descent Into Obscure Nihilism'' is released via Extreminal Productions / Arizali Notalar Records.